Join Steven Menking for an impactful interview on Rogue Money Radio. The discussion focused on maintaining a solutions mindset, the same old tricks being pulled politically, battling division in the truth community, and an overall perspective on cryptocurrencies. If we don’t have the right mentality in this pivotal time, then we won’t be able to see or seize the opportunities that are right in front of our faces. Are you looking for solutions or barely hanging on? True strength and vision begins with spiritual dynamics, and we have divided ourselves unnecessarily. It’s time to dust ourselves off, pick ourselves up, and where necessary start from scratch. The decisions you make now will have a monumental impact in the months and years ahead. Welcome back On the Objective as your host Steven Menking sits down with debut guest Andre Rafnsson. Andre joins us from overseas to discuss the project he has co-founded called Jinbi, which joins gold to blockchain and cryptocurrencies. Many investors have shied away from cryptocurrencies because of viewpoints that cryptocurrencies are not properly backed by hard assets. Jinbi Token bridges that gap and may be an avenue for precious metals enthusiasts to enter the blockchain space. Everything in this discussion is educational, and nothing should be misconstrued as financial advice. Thanks again for joining us On the Objective! Join your host Steven Menking as he welcomes back V the Guerrilla Economist of Rogue Money to discuss the recent election results in Italy, the state of the conversation about blockchain, the situation at Deutsche Bank, and the emerging multipolar paradigm. The economics, financial, geopolitical, and cultural landscapes are all undergoing massive shifts, and most are frankly unprepared. Don’t get caught out of position without solutions! Now is a critical time to educate yourself and to become an active participant engaging in critical and forward thinking about the challenges we face and the decisions we will be making in the future. Thanks for joining us On the Objective! 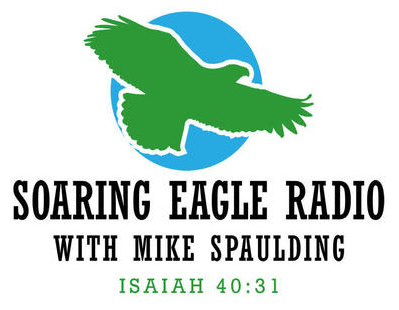 Join Steven Menking as he returns to The Hagmann Report for a discussion of economic news coming out of Italy, microfinance, and spiritual principles from Psalm 139. It’s time to inform ourselves about what is going on and to press in to God. Jesus is King of Kings and Lord of Lords. He will receive all the glory, and I pray that His perfect will would be accomplished in your life. Steven Menking On The Hagmann Report Tonight (02.26.2018) @ 8:00pm Eastern! Bad news: The Amateur Society is postponed from tonight until tomorrow 02.27.2018. Good news: The Amateur Society has been postponed because Steven Menking will be appearing again on The Hagmann Report to cover economics, spirituality, and cryptocurrencies!